← NSA Spying for Google — Disturbing News — We Need More Info. Heightened U.S. Trade Diplomacy — New Rules for Newer Issues in Global Commerce — Maybe. …. Russia filed its first suit in the WTO and it was against the EU for unfair treatment of its energy exports to the EU. The EU previously filed its first action against Russia. “Russia Targets EU in WTO Suit Over Energy Policy.” Financial Times (December 24, 2013). …. 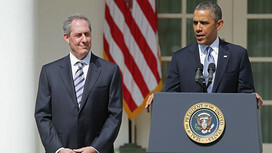 The new USTR Mike Froman wants to promote a new political consensus as he deals with global trade negotiations. His goal is to establish a higher standard of new rules (compared to existing ones) for treating newer trade issues such as national regulation that often act as NTBs. “Mike Froman Upbeat on US Effectiveness in Global Trade Talks.” Financial Times (December 24, 2013). …. The U.S. through its trade agreement negotiations via the TPP and TTIP is trying to shape the rules of global commerce as to newer trade issues concerning regulation, specifically concerning the Internet and E-Commerce, pharmaceuticals and intellectual property rights. Hoping to remove newer more restrictive national laws. “U.S. Seeks to Shape Global Trading Rules.” Washington Post (December 25, 2013). …. Some argue that the Obama administration is trying to do by trade agreement what it cannot do by legislation — impose a liberal agenda by including expansive labor and environmental provisions. “Free Trade and Obama Fiat.” Wall Street Journal (December 26, 2013). This entry was posted in Global Trade Relations and tagged higher regional standards for global commerce, Michael Froman, newer trade rules for new trade issues, regional rules and the WTO rules, rules and global commerce, Russia and EU lawsuit in the WTO. Bookmark the permalink.